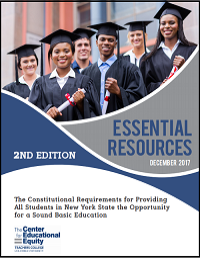 First published in December 2012, Essential Resources became the first-ever comprehensive compilation of New York students' educational rights, and served as a framework for assessing the state's compliance with CFE, which guarantees all students the right to a "sounds basic education"--a set of learning opportunities specifically designed to prepare them for effective civic participation and good jobs. 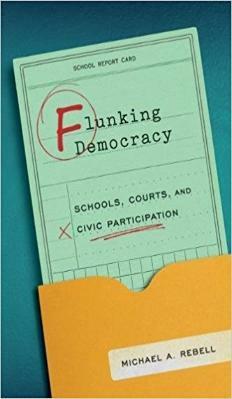 Our executive director and professor of law and educational practice at Teachers College, Columbia University, Michael Rebell, talks with journalist Jack Ford about his new book, Flunking Democracy: Schools, Courts and Civic Participation. Flunking Democracy is a publication from CEE’s new educational-rights project on preparing students for civic participation. In it, Rebell makes the case that, for generations now, most public schools in the United States have moved away from one of the fundamental purposes of public education—preparing students to become capable citizens. This trend has persisted despite court holdings in New York, and many other states, that education for civic participation is the constitutional right of all children. The book analyzes the causes of the decline in civic preparation, provides a detailed analysis of what we know about how to prepare students for productive citizenship, and considers examples of best practices. Flunking Democracy further argues that the courts are a vital part of the solution to this civic decline and concludes with specific recommendations for how the courts can and should address this deficiency.